The memorial monument, Patuxai, began construction in 1957 and completed in 1968, is by far the most prominent landmark in the city of Vientiane. 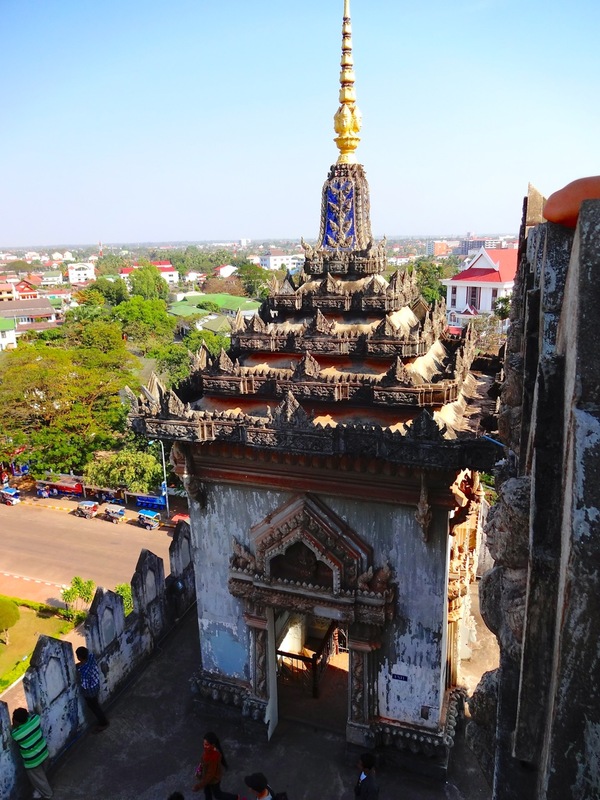 While the Arc de Triomphe in Paris inspired the architecture, the four sided structure has Laotian designs with Hindu-Buddhist symbolism and paintings throughout the interior vaulted ceilings. Taller than the original Parisan cousin at over 70′, the monument was built to commemorate the struggle to gain independence from France and not dedicated to France as some tourists assume when visiting. The Arc de Triumph of Vientiane, but all Laotian in style. Meaning Victory Gate in Sanscrit, Patuxai was made possible in part by the US government. Toward the end of the conflict in neighboring Vietnam, the United States military pledged money and concrete to build an airport for the capital city. Instead the Royal Laotian government used both to build the monument over a ten year period, earning its nickname as the “vertical runway”. By the way, this is my 300th post-Thank you for reading and leaving your comments. 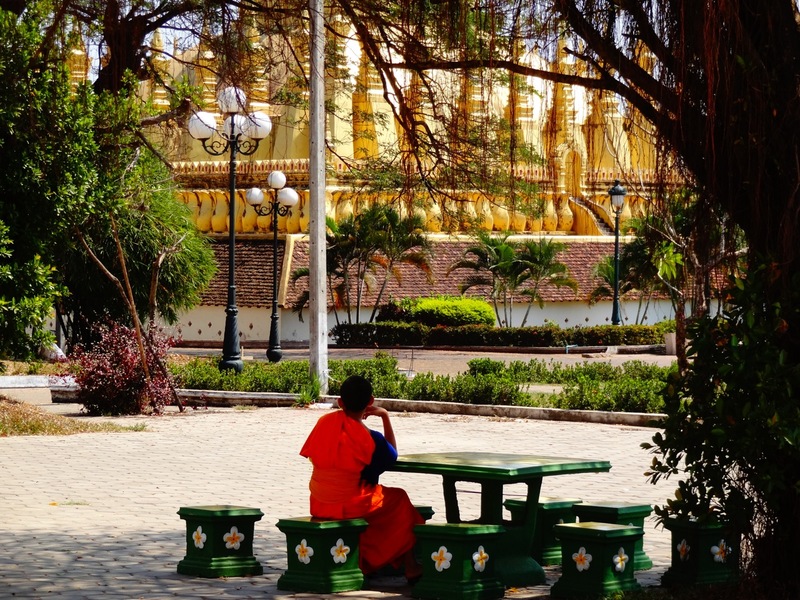 A young monk sits near the Pha That Luang stupa.